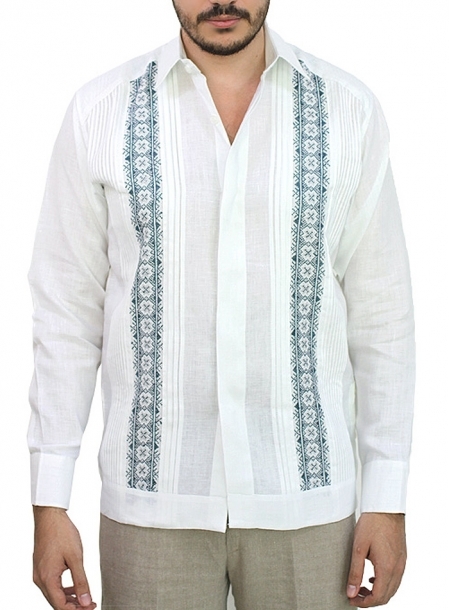 This long sleeve Guayabera hand embroidered with Blue Silk Thread is made of 100% Irish Linen. 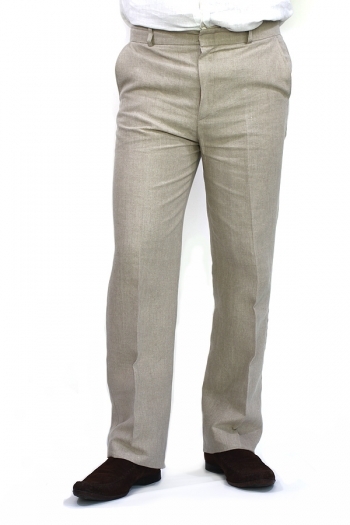 The Slim Fit cut is available in sizes 34, 36, 38 and 40. 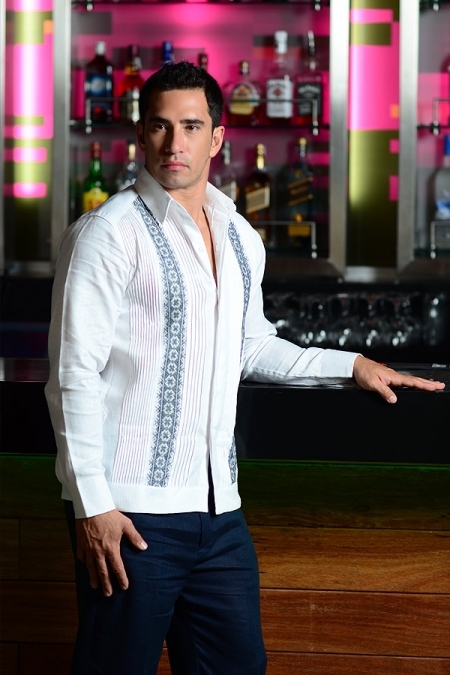 One of our most exclusive Guayabera with an elegant style for a traditional long sleeve, the best quality embroidery, hidden buttons and a standard neck. 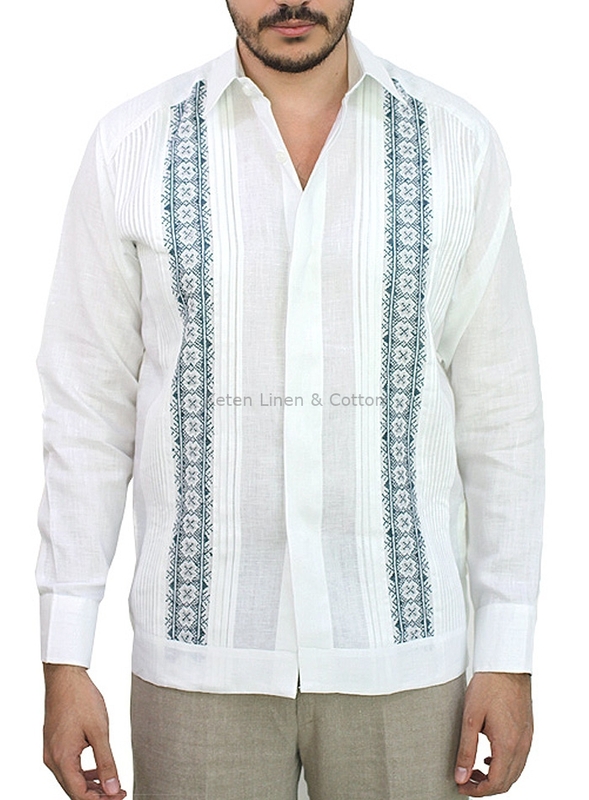 Ideal for a Mexican or Cuban wedding dress code. We want to make your shopping experience at Ropalino.com - Keten simple and convenient. That's why we're pleased to offer you FREE UPS Shipment with any order*. 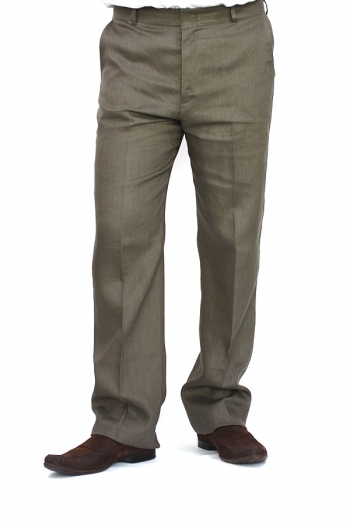 Receive your clothes without leaving your own home. Your order will be shipped straight to your door, and if you wish, you can have it gift-wrapped free of charge (Please let us know if you wish to receive this service). Also for your protection, all orders require a signature upon delivery, regardless of any signature waiver on file. JOIN TO OUR GROUP AND THE FIRST TO KNOW ALL THE INTERESTING PROMOTIONS AND OFFERS!